When it comes to putting things on or in my dogs, I like to keep it as natural and as seasonal as possible. And with so many products on the market and so many ingredients in every item, this may mean making things myself. It might sound daunting, but it’s amazing what you can do with items from your house and the time you save not poring over labels at the pet store. With spring in the air, I wanted to find a use for the abundance of rosemary growing in my garden. Did you know that rosemary offers many benefits to dogs? Rosemary has many benefits for dogs. Photography ©Tom Merton | Getty Images. Commonly used as a preservative in dog food due to it’s antimicrobial/antibacterial abilities. So what better ingredient to use in dog shampoo and treats? Rosemary dog shampoo. Photography by Samantha Meyers. This easy-to-make shampoo will keep your pooch smelling fresh and clean. 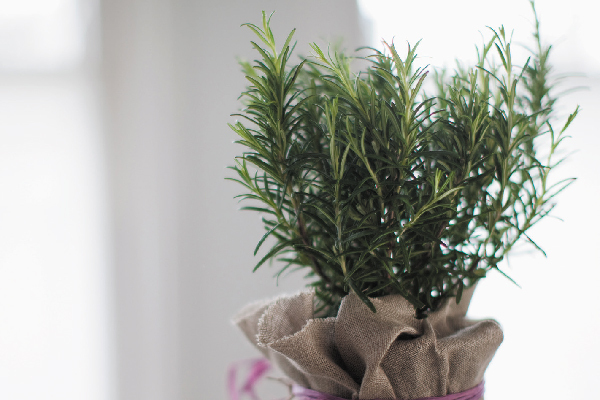 Rosemary will help repel fleas, plus keep your dog’s skin clean and moist. 1 bottle or jar to store finished product — I like to save and repurpose the dish soap bottles I use in the recipe. Bring water to a boil. 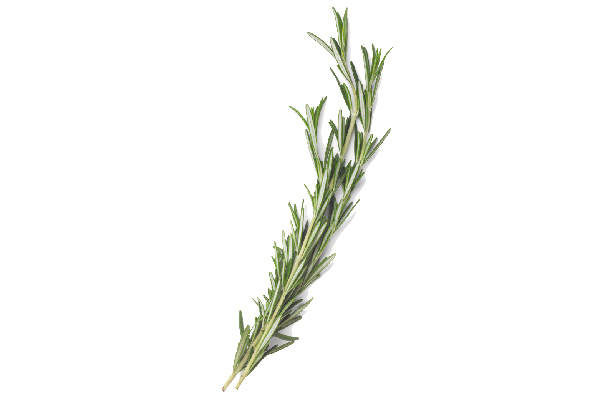 Drop in rosemary, and remove from heat. Allow to cool. You are essentially making a rosemary tea and infusing all the rosemary goodness into your shampoo. Mix rosemary water with vinegar and dish soap well. If your dog has dry skin, mix in additional ingredients. Pour into a bottle for bath time. Shake well while using. These treats are good for humans, too. Photography ©DNY59 | Getty Images. 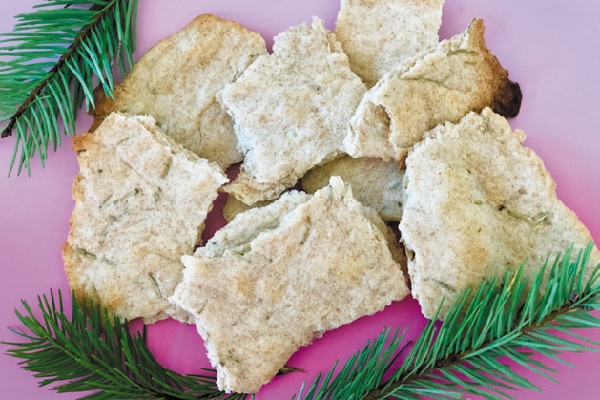 I love making food my dogs and I can share, and this recipe is no exception. It’s sometimes hard to tell whether I’m sharing with them or they are sharing with me, but in the end everyone wins with these delicious crackers. 1/3 cup olive oil + 2 tbsp. Mix flours, baking powder and rosemary in a bowl. 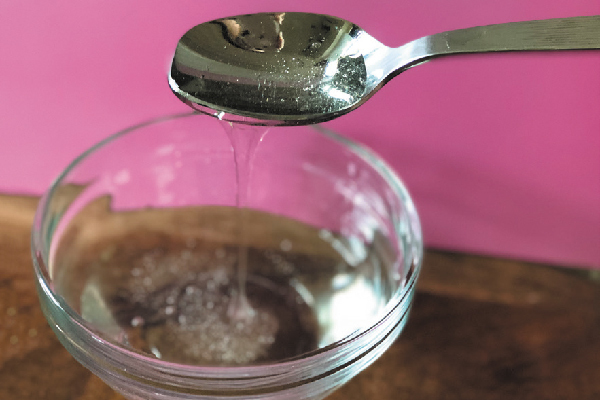 Stir in water and oil until combined, reserving the extra 2 tablespoons of oil. You may need to get in there with your hands. If it feels too dry, add a tiny bit of water at a time until it has a damp, but not sticky, texture. If it’s too sticky, slowly add white flour until it feels right. Split into two balls and roll each one out about 1/8 inch thick. Place on a baking parchment sheet, and sprinkle with the remaining olive oil. Sprinkle a little salt on the human portion if desired. Bake for about 10 to 12 minutes or until crackers brown on the edges. Allow to cool, then break into pieces for treats and snacking. The post Dog-Friendly DIYs Using Rosemary appeared first on Dogster.